HideMyAss Review 2018 – What is HideMyAss Used For? Mandee Rose | Posted on February 28, 2018 February 28, 2018 | Leave a comment on HideMyAss Review 2018 – What is HideMyAss Used For? HideMyAss, the UK based service is arguably the largest VPN provider with 20 million satisfied consumers around the globe. HMA is owned by Primax, which is recently acquired by AVG Technologies. HideMyAss offers 30-days money back guarantee. Their server spread is impressive; 940+ server deployed at 350+ location in 190+ countries. Global accessibility is assured as HMA offers more than 120,000 shared IP pool for their users. Read our comprehensive HideMyAss Review for complete insight. HideMyAss is good for accessing geo-restricted media and evade censorship issues. However, they aren’t great with maintaining users’ anonymity. HMA keep activity metadata logs. 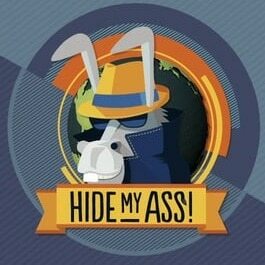 HideMyAss Virtual Private Network (VPN) has a rather bold and bawdy branding strategy that’s not easy to forget. Chances are you’ve already heard of this VPN provider; it’s marketing tactics tend to make it stand out from the crowd. But is it all a joke, or is HideMyAss (HMA) VPN really a solid choice? To help answer that question, we’re going to pick apart this VPN service provider piece by piece. There has been a fairly recent change in ownership at HMA. The VPN service was first started by a London company named Privax. However, last year, Privax was acquired by the security giant AVG. As I’m sure many of you already know, AVG has been in the security space for decades, and is well known for its free antivirus software (among other security tools). Interestingly, HMA VPN has servers located in more countries than any other VPN provider I can think of. Currently, HMA VPN has over 720 servers in 320+ locations, scattered throughout 190+ countries. Some of the servers are located in regions that aren’t known for being hotbeds of internet activity and hosting, making HMA VPN a favorable option for connections to more obscure areas. It’s more common for providers to have servers in around 30 to 60 countries. Thus, if you need to connect to a specific country that other VPN providers lack, chances are HMA VPN is your best bet. Before we dig into the pricing model, let’s look at advantages and disadvantages of this VPN provider. 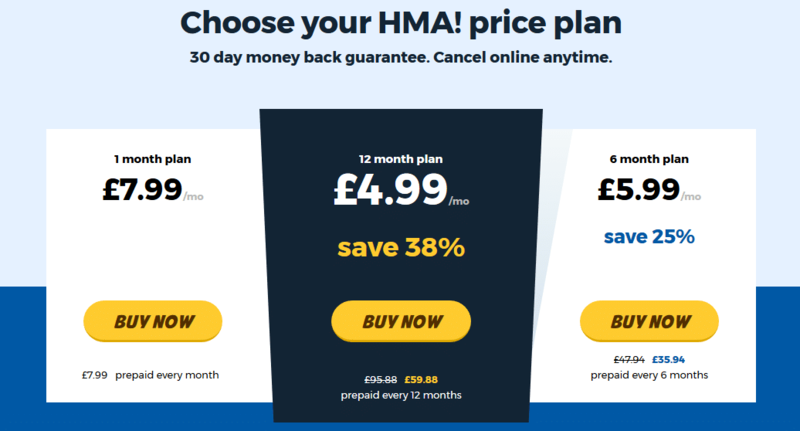 HMA VPN has an affordable pricing model that lies in the mid-market range; it’s neither an expensive provider nor a cheap provider. Unfortunately, there isn’t a free trial version, which made me more than a little confused. I was hunting around on the website, and found some text that claimed a free trial was available. 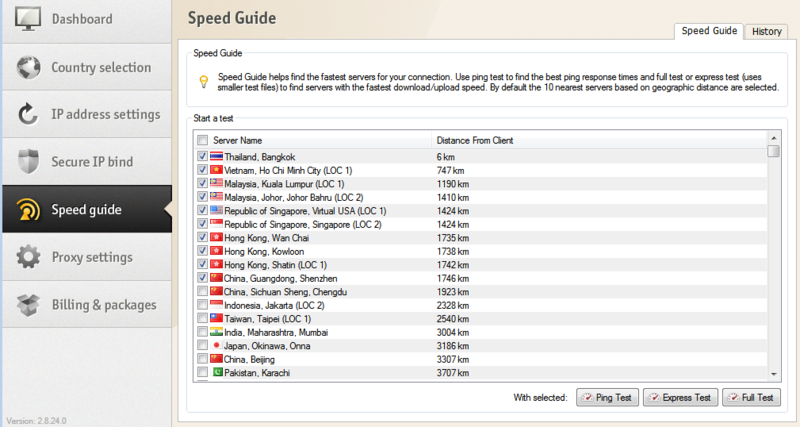 It stated that to obtain a free trial, all you need to do is contact HMA VPN to receive a free trial code. Needless to say, that was a little disappointing. Nevertheless, HMA makes up for the lack of a free trial in two ways. First of all, it offers a lengthy, 30-day money-back guarantee, which is the longest I’ve seen among any other VPN services. Also, it offers some rather unique payment options. Believe it or not, you can actually use a Walmart or Starbucks gift card to subscribe to the service. I don’t think I’ve ever seen another provider offer this. As you might expect, the real savings are built into the annual subscription plan. The monthly option is a little pricey in my opinion, though still not as expensive as other providers like ExpressVPN. HMA explicitly defines a “device” as a computer or handheld device running Windows, OS X, Linux, iOS, Android, iphone or a wireless router capable of terminating a VPN connection. As you can see, the only main advantage to the business plan is an increased number of simultaneous connections. What Features does HideMyAss Have? HMA VPN has some great features, but I was a little irritated that the features weren’t easy to find on the website. In addition to downloading the client, I had to ping tech support to find the answers I was looking for. As I mentioned before, one of the greatest strengths of this VPN provider is the number of global locations in which it hosts servers. To date it runs servers in over 190 countries, and has more than 93,000 IP addresses. But there was one feature that I didn’t care for – at all. Regular subscribers only have the ability to connect up to two devices to a VPN tunnel at the same time. That’s pretty low compared to HMA VPN’s competition. It’s far more common for other VPN providers to offer three to six simultaneous connections per account. Unfortunately, if you want more simultaneous connections, you’ll have to sign up for the “business” service. It seems that the only real difference between the business service and the standard service is the number of simultaneous connections. But by and large, the security features were pretty good. Subscribers have the ability to connect to a VPN server using PPTP, L2TP and OpenVPN connections. I like all the extra goodies thrown in for free. For instance, there is the free web proxy service. If that weren’t enough, HMA VPN even throws in a free anonymous email tool. In addition to being supported on all the major platforms, HMA includes web browser extensions, which will only send traffic from your web browser through the VPN server. Last but not least, note that HMA is a good choice for BitTorrent users. Firstly, it doesn’t inhibit peer-to-peer (P2P) downloads with bandwidth throttling or data caps. 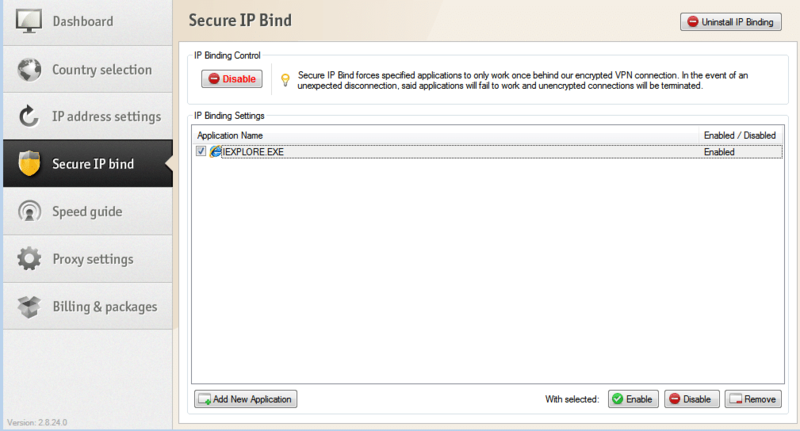 Secondly, it has a VPN kill switch included in the software. The speed test data was certainly encouraging, though I wouldn’t say it was so jaw-droppingly amazing as to be the fastest provider on the market. Still, having said that, in both cases I was able to enjoy faster speeds to connections in foreign countries by using the VPN tunnel. In both instances of using the VPN, both my download and upload rates were higher. I am on an internet connection that has a theoretical download limit of 100 Mbps and an upload limit of 50 Mbps. I didn’t experience speeds anywhere near that maximum threshold, but my internet was markedly faster through the VPN tunnel. This is most likely due to the fact that the VPN tunnel made my traffic invisible, and was able to circumvent Internet Service Provider (ISP) throttling, deep packet inspection, and other foreign network restrictions when my data crossed international borders. It may not be the fastest provider, but overall, I was reasonably satisfied with the speed of the connections. Let’s put it this way: while HMA VPN may not be the fastest provider I’ve ever tested, it certainly wasn’t the slowest. HMA VPN’s support department has a live chat feature. If I’ve said it once, I’ve said it a thousand times (and will say it a thousand times more): I love live chat. For some reason, however, the live chat system was a little slower than I expected it to be. Perhaps I had contacted them during peak hours or maybe there were just a lot of people in the queue. At any rate, it took about three minutes for an agent to respond to my questions. I know that complaining about waiting for just three minutes might make me seem impatient, but if I needed help troubleshooting a VPN connection and was already irritated and in a bad mood, three minutes could seem like a long time. Nevertheless, the support agent was able to accurately answer all of my questions. Furthermore, HMA VPN maintains an FAQ section in its knowledgebase that answers a wide variety of questions, ranging from queries about how to connect to a server to whether or not an ISP can see what you’re downloading. Oh, and I loved how HMA made troubleshooting videos for some of the knowledgebase topics. Furthermore, some guides have command-line code you can copy and paste into the terminal (on Windows, Linux, and Mac). There is also a community page where users can post questions about any problems they may be experiencing. In addition, you may be able to find a thread that answers a question you already have, which would eliminate the need to contact the support department in the first place. Lastly, you do have the ability to open a ticket with the 24/7 support department via a web form on the website. However, I’d just as soon open a live chat window to speed up the process. However, I think that can be a little misleading. While this is technically a “no logs” VPN provider, since it doesn’t track online activities, it does keep some data, which is quite common in the VPN industry. If a VPN service didn’t keep any data, it wouldn’t be able to save your user account, payment card information and so on. So what data does HMA VPN record, you ask? All in all, I was impressed with HMA VPN. It delivers great value, especially if you opt for the annual plan. I’m not so certain I would recommend the monthly plan, however, due to its higher price. And I was a little disappointed to see that HMA only allows two simultaneous connections. I do wish it had a free trial, too. Having said that, I think all of the free extra goodies and features like web browser extensions make up for those shortcomings. If you’re still on the fence, then I’d recommend taking advantage of the 30-day money-back guarantee and testing the service out for yourself.